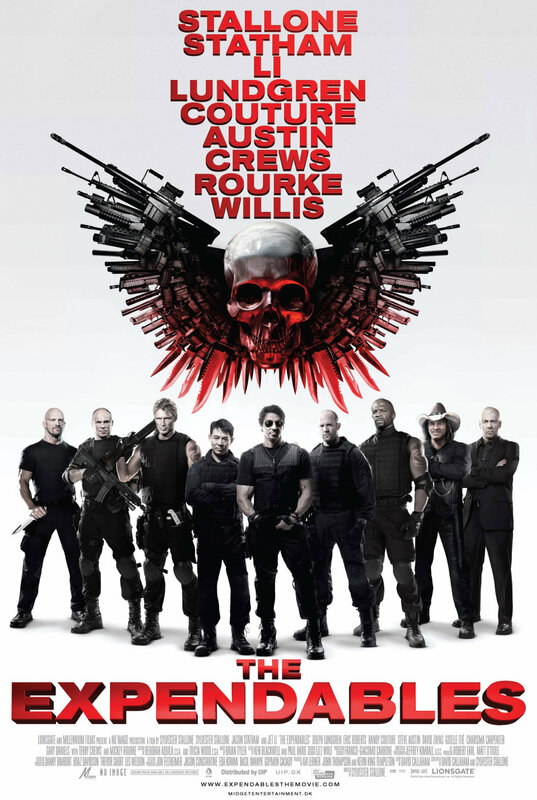 The Expendables – Choose your weapon. Screenplay by David Callaham and Sylvester Stallone. Barney Ross (Stallone) is the leader of a group of mercenaries for hire. He is hired to kill a dictator and when he gets there things are not as he has been told. After they escape from the island they return home and Tool (Rourke) talks with Barney. He tells Barney of a mission he had and the consequences of his choices. This is by far the best acting in the movie and Mickey Rourke does a great job of it. It is this story that drives the movie and Stallone’s character to take action. I have always liked action movies and was excited to hear that Stallone was getting all the big action heroes together for one film. It was an ambitious idea to pay tribute to all the action movies of the eighties but Stallone is more than capable of making a good action movie. The performances by this group of alpha dogs didn’t take home any Academy Awards but who expected that anyways. This movie is pure entertainment and a good film. So if you are an action junky and love stunts, guns, explosions, and fights give this film a watch because it delivers all of them. Directors’ Previous Movies: Paradise Alley, Rocky 3, Rambo. If you liked this try: Ocean’s Eleven, Rambo, Die Hard.